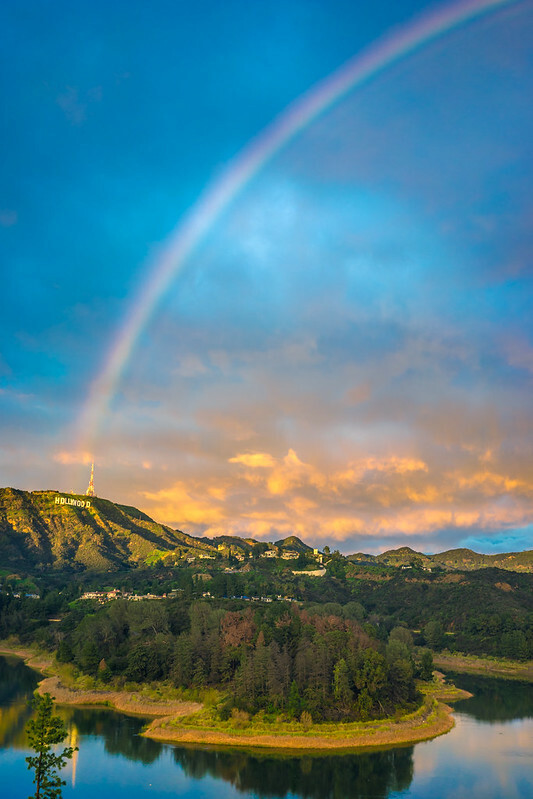 We’re all used to seeing rainbows all the time a little further west in Hollywood (and closer to the ground), but on Saturday after the rain stopped and the sun peeked out a big one arced over Griffith Park. I noticed it while sitting in our home office working on those trip videos. I grabbed my camera and literally ran out the door and up the hill. I had to stop several times to catch my breath as ascending that hill is already like using a step machine when you’re taking it slow. Running up the entire way might have killed me. Sadly, I didn’t make it all the way up before the rainbow started to fade as the sun began to set, but I managed to still take some okay photos of the phenomenon and a shaky video. 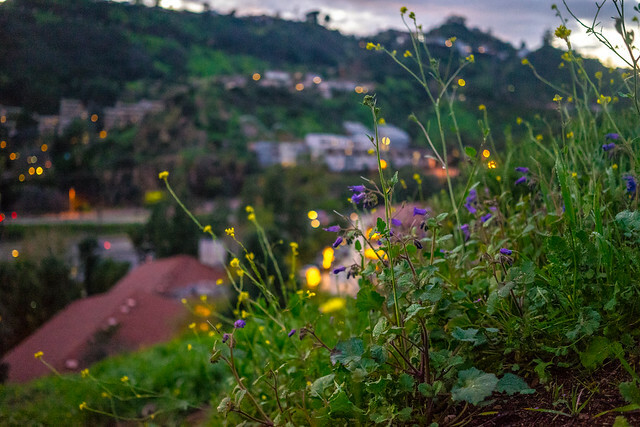 Let this also be a record of how lush and green the Hollywood Hills are now, compared to their normal sandy exposed earth color. The trail up the hill is now surrounded by very thick fresh green grass with little yellow and purple flowers starting to bloom all over.